Twitch's casino section is an insidious mess - and it's right in view of children | Share It Us! If you were to glance at the Twitch homepage right now, chances are, you'd spot all the usual suspects. Fortnite, Pokémon Let's Go, League of Legends, maybe even Fallout 76 (for now). But among these well-known names, one category stands out. 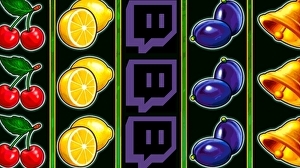 Under an image that looks like the love child of Twitch chat and 4chan, you'll find a variety of gambling streams under the catch-all term "casino". On Sunday night this category had 77,029 viewers - placing it above hugely popular games Red Dead Redemption 2 and Call of Duty: Black Ops 4. According to Twitch Tracker, last month the category had 153 channels broadcasting gambling games at its peak. The numbers are remarkable, particularly given many of these streams consist of spinning slots with no voice commentary. Why on earth would so many people choose to watch this? How do the streamers afford to do this all day? And, as some people have begun to ask recently, why is this category placed right next to games popular with children, such as Fortnite? And why is nothing in place to prevent children from watching?